Jin-oh was born in South Australia but has spent most of his life in Tasmania. Jin-oh is excited about running for the Secular Party of Australia. He believes in the separation of church and state. Coming from a religious family background, Jin-oh supports people’s right to believe in what they like, but realises the mix of government and religion can be very problematic. He also believes that religious organisations� receive far too many benefits that are not afforded to other non-profit organisations. There also needs to be wider separation (with more transparency) between their religious and charitable activities. Jin-oh is also a firm believer of equal rights for all, regardless of race, gender, age or sexuality. 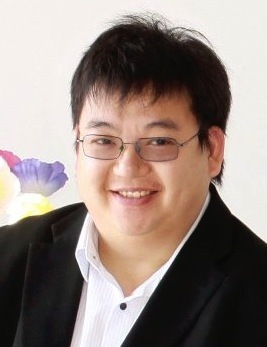 Jin-oh is the founding President of the Launceston Skeptics, promoting critical thinking and an understanding of the scientific method. He has stood as a candidate for the party in the senate, at the last federal election. Back to our election page . . .